Are you ready for the Summer 2019 season? 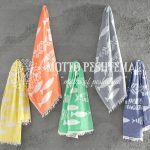 Do you want to offer your customers light-weight, soft, and eye-catching beach towels? Do you want to widen your product range with new, fashionable and luxurious products? Well, then you’re reading exactly the right post! 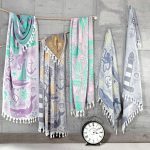 We’ll discuss our newest Turkish beach towel designs tailored for the summer season! 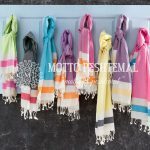 As a wholesale manufacturer of Turkish beach towels, we released our newest products at Jan 2019! 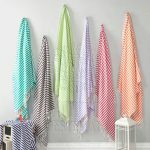 As our designers constantly follow the fashion for you, they came up with trendy Turkish towel ideas both you and your customers would love! Woven 100% from hand-picked Turkish cotton our new designs aren’t only flashy and day, they are also extremely comfortable. If you’re looking for something new to decorate your facility with or if you are looking for something that might satisfy your customer’s needs for the summer season, you should keep reading! 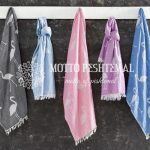 As Motto Peshtemal, a wholesale manufacturer of Turkish towels, we’re here to offer you premium quality products along with our reliable services all year long! 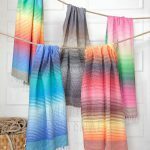 And for Summer 2019, we proudly offer you some of the top-selling peshtemal designs of 2018 season along with our new designs. 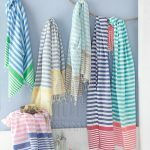 If you haven’t been following our blog, you might wonder why you should pick Turkish towels? We’ll shortly inform you about the texture of our peshtemal designs here. And if you’d like to know more about our heavenly comfortable towels, you could easily browse our blog! It is a heavy burden to carry the old fashioned, fluffy, and extremely absorbent towels everywhere with you during the summer, isn’t it? 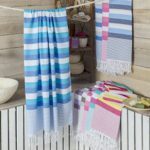 Once you discover how light and useful a peshtemal is, you’d never want to use your normal towels! 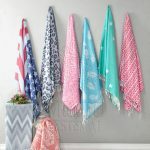 As a wholesale manufacturer of Turkish beach towels, we use 100% hand-picked cotton to weave our designs. 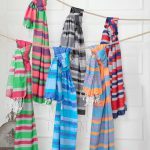 Even though Turkish towels are feather-weight, they are highly-absorbent! You’ll be amazed once you witness the absorbency of peshtemals! As peshtemal is a centuries-old Anatolian tradition, craftsmen developed new techniques to improve the texture of peshtemal! As a result of the Turkish cotton and these special techniques we use, Turkish towels are extremely quick-drying! Turkish beach towels are naturally soft. And do you know what is even cooler? They get softer and softer after every wash! Lastly, as we attach importance to our customers’ comfort, we manufacture our products to be durable! You can confidently offer your customers peshtemals which they can use for a long time! What a way to be remembered, right? 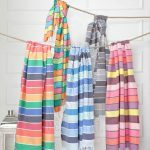 If the list above caught your attention, you should definitely try reading our other posts about Turkish towels! We discussed the texture of our luxurious products above. After reading all the technical details of our products, the next thing you should see is their designs! 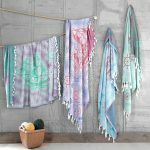 We’ll be adding a gallery below for you to see our top-selling designs of 2018 summer season, and a couple of our newest Turkish beach towel designs! Before we finish our article, we’d like to remind you of a couple of important things! As a wholesale manufacturer of Turkish beach towels, and beach wear, we’d be happy to answer your questions about our products! 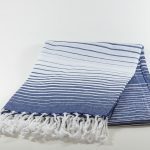 You can easily contact us for any questions or for your Turkish towels wholesale needs by visiting our “contact” page! You can discover our entire home & hotel textile, peshtemal, Turkish towel, and beach wear collection by simply visiting our “products” page! 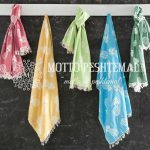 Motto Peshtemal, the Turkish towel manufacturer & wholesaler, wishes you a profitable season!